 In collaboration with other researchers from QIB, FDNC have been awarded a £250,000 BBSRC Global Challenge Research Fund Impact Acceleration Account Extension (GCRF IAAE) Award to continue research projects addressing nutrition and health in Africa. Alongside other experts and working with FAO/WHO, we will be carrying out training, sharing our knowledge and skills to help produce improved African food composition data and tools. This will underpin the development and implementation of local food and nutrition policies, regulatory measures and health advice. Food Databanks are working with teams from the University of East Anglia (UK), Wageningen University (NL) , Institute of Medical Research (RS), and WHO EMRO Egypt in another GCRF project, this one funded by MRC “Capacity building in dietary monitoring and public health nutrition in the Eastern Mediterranean Region”. Food databanks, via training workshops, will be providing technical and scientific support for food and nutrition clusters in the Eastern Med region to improve standardised methodologies for food composition and food intake methods used to underpin dietary monitoring and policy and nutritional research needs in low and middle-income countries. Food Databanks have been notified in their succesful bid for EIT funding. The EIT is an integral part of Horizon2020. With the aim to make innovation happen, empowering innovators and entrepreneurs to develop world-class solutions to societal challenges and creating growth and skilled jobs. EIT Food is a European Knowledge and Innovation Community (KIC), EIT Food is a consortium of 50 partners from leading businesses, research centres and universities across 13 countries. A people-centric and resource-smart transformer of the European food system, driving consumer confidence and improved global health. EIT Food’s vision is to put Europe at the centre of a global revolution in food innovation and production, and its value in society. Food Databanks will be leading the project working with colleagues from PepsiCo, Die Technische Universitat Munchen and The University of Reading on the €723,930 project “Quality Information Services and Dietary Adviced for Personalized Nutrition in Europe” working to deliver a digital platform as a supporting basis for creating and delivering personalised nutrition services. 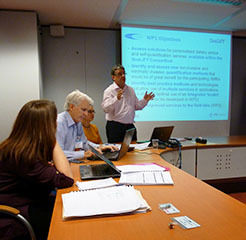 EIT-Food network partner MMR Resarch Worldwide and non-partner organisations ShiftN, EuroFIR and The Hyve will also be involved in the project which has its kick off meeting in January in Leuven Belgium. REFRESH Resource Efficient Food and dRink for the Entire Supply cHain” (REFRESH) is an EU research project taking action against food waste. 26 partners from 12 European countries and China work towards the project’s goal to contribute towards Sustainable Development Goal 12.3 of halving per capita food waste at the retail and consumer level and reducing food losses along production and supply chains, reducing waste management costs, and maximizing the value from un-avoidable food waste and packaging materials. FDNC and Prof. Keith Waldron’s team from the QIB Biorefinery Centre were partners in the project and led a work package on ‘Valorization of waste streams and co-products’. Key tasks will be to identify waste streams that have significant environmental impact to enable development of the most effective approaches to ensure that waste streams can be significantly reduced through improved chain management and business and consumer behaviour. FDNC’s main role will be to develop a compositional database which provides users with access to biochemical composition of agri-food chain waste streams in order to identify market opportunities. RICHFIELDS (Research Infrastructure on Consumer Health and Food Intake using E-science with Linked Data Sharing) is a 3 year project funded by the EU Horizon 2020 programme that will design a world-class infrastructure for innovative research on healthy food choice, preparation and consumption of EU citizens, closely linked to their consumer behaviour and lifestyle. This unique research infrastructure will link the agri-food and nutrition-health domains and account for the regional, social and economic diversity of the EU to produce a scientifically, technically and legally robust evidence base that will enable scientists to efficiently collect, connect and share research data. • Potential ethical issues related to linking into a RI (e.g., data privacy, ownership rights etc. ); design of future data structures and interfaces for RIs. The case studies are led by QIB, The Centre for European Nutrition and Health, (France) and AALTO University (Finland). Partner organisations include Aalborg University (Denmark), Jozef Stefan Institute (Slovenia), German Institute of Food Technologies (Germany), Wageningen University (Netherlands), ETH Zurich (Switzerland), GS1 (Denmark), and EuroFIR AISBL (Belgium). For more information see http://www.richfields.eu/. The Nutritional Information Solutions Team have developed and tested nutrition calculator systems to help food producers to provide nutritional information calculated from their own recipes – a cost effective and quicker alternative to laboratory analysis. Our experts have a proven reputation and expertise in the production of the UK Composition of Foods (McCance and Widdowson) datasets and nutrition knowledge qualifying them to be your experts. We would be very happy to work with UK food producers in order to meet the updated food labelling regulations. If you would like us to help you please contact us today. The calculation of nutrition data is very cost effective compared to direct laboratory analysis but can be difficult for food companies that have little or no knowledge of nutrition and food composition. Calculation software may be available from a range of providers but is limited by the need for producers to accurately match their ingredients to available food composition data and to take into account nutrient changes during production. DIET@NET is a partnership funded by the UK’s Medical Research Council which brings together a core group of experts in the field of dietary assessment, nutritional epidemiology, public health and clinical studies from eight universities and institutions in the UK (University of Leeds, Imperial College London, Institute of Food Research, MRC Human Nutrition Research in Cambridge, MRC Lifecourse Epidemiology Unit in Southampton, University of Bristol, University of Oxford, University of Southampton). develop a Food Questionnaire creator and provide links to useful dietary assessment resources. PlantLIBRA (PLANT food supplements: Levels of Intake, Benefit and Risk Assessment) aimed to foster the safe use of food supplements containing plants or botanical preparations, by increasing science-based decision-making by regulators and food chain operators. To make informed decisions, competent authorities and food businesses need more quality-assured and accessible information and better tools (e.g. metadata banks). Supporting science-based decision-making and safe use of plant food supplements (PFS) were the driving aims of PlantLIBRA. They were the shared, long-standing goals of all partners. Accessible risk, benefit and risk‐benefit models for plant food supplements based on scientific investigations able to provide data on assumption levels and PFS risks and benefits. Dissemination of results and models relevant to risk‐benefit for PFS to stakeholders in order to assist science-based decision making, enhance international cooperation and harmonization, as well as consumers awareness. For more information on the project please visit the PlantLIBRA website. EuroFIR Nexus is coordinated by IFR and aims to build on the activities of the previously EU-funded EuroFIR Network of Excellence (2005-2010), and refine further the EuroFIR Food Platform (EFP) to support and improve the way diet and health research is undertaken in Europe. The outputs are consistent with the ETP `Food for Life’ and support Theme 2 (FP7) in food and nutrition research contributing to the structuring of the ERA. Nexus is focused on extending the use of validated data and online tools for diet and health studies in Europe and the implementation of standards and best practice. These activities are achieved through EuroFIR AISBL, and fall under six primary areas of interest: (1) quality standards and certification, (2) systems integration and operational support, (3) integration and business development, (4) training, (5) dissemination and (6) management. Nexus has 17 partners, and 19 third parties linked to EuroFIR AISBL. The high-level of institutional commitment has been strengthened further with the new General Assembly, which represents all beneficiaries, and an External Advisory Board consisting of users and other stakeholders. Ultimately, Nexus will ensure an integrated approach for EuroFIR AISBL activities and stakeholder engagement, and safeguard products and services for future exploitation. Food composition data is essential for calculation of nutrient intake from consumption data and is available in most countries). There is a need for composition data to be collected and presented in a standardised way to enable comparison between countries and across Europe. This problem has been addressed by several European projects, most recently by the completed EuroFIR NoE project (FP6), which has led to the development of a draft European standard for food data, and the establishment of the EuroFIR Food Data Platform in Europe. 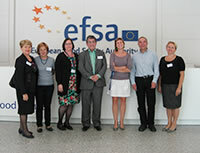 The work is ongoing through the EuroFIR Nexus project (FP7; 2011-13), and led by Institute of Food Research. The Dietary and Chemical Monitoring Unit of EFSA collects and collates consumption and chemical occurrence data for risk assessment purposes. The Comprehensive European Food Consumption Database consists of detailed food consumption information collected in 2008-9 from 20 countries for adults and 12 countries for children. 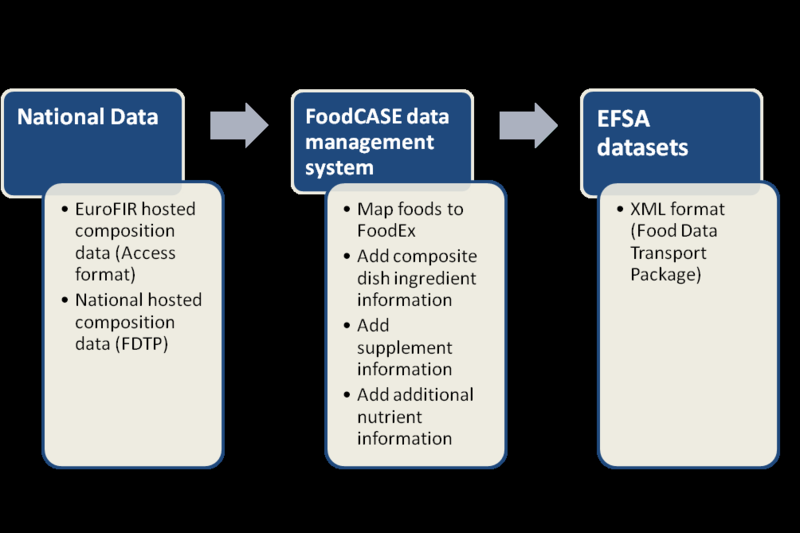 The FoodEX food description and classification system was developed by EFSA to harmonise collection of food consumption data and link it to the collection of chemical occurrence data. FoodEX is being refined by EFSA’s Working Group with the aim of serving a broad range of needs, including nutrient intake calculations. EFSA requires an updated food composition dataset to cover both foods and supplements and to link the data to existing food consumption information for calculation of intake and exposure. This requirement will enable EFSA to evaluate nutrient composition of European foods and estimate nutrient intakes and patterns in Europe and to respond to information requests from the Commission. RFID-F2F is coordinated by the University of Wolverhampton with eight partners representing five EU states and aims to showcase radio frequency technology with SMEs in the food and beverages sector to support identification and tracking along the supply chain. Food businesses offer huge potential for return-on-investment for RFID technologies by, for example, providing authentication of food origins, reducing waste, optimising logistics costs, or increasing quality of goods to the consumer. The purpose of RFID F2F project is to demonstrate use of RFID at all stages in production and sales, allowing products to be tracked across Europe from the producer (farm) to the end consumer (fork), and bring together producers, processors, logistics and retailers to deploy standardised solutions supporting traceability and authentication of foodstuffs for the consumer. Production and distribution of food and beverages is the largest and one of the most important economic activities globally. RFID F2F gives particular attention to the development of effective functioning pilots in supply chain management linked together on a national and EU level, and facilitate opportunities for their potential value to be exploited through raised awareness and understanding. IFR and EuroFIR AISBL are working to provide food data and supporting information to the RFID tool using web services, and contributing to sustainability plans. TDS-Exposure was a four-year FP7-funded Collaborative (Research) Project with 26 partners from 19 countries, and was led by Agence nationale de sécurité sanitaire de l’alimentation, de l’environnement et du travailanses (ANSES, FR). Total diet studies complemented traditional monitoring and surveillance by providing a scientific basis for population dietary exposure to nutrients and non-nutrients including contaminants, and potential impact on public health. Food selection was based on (national) consumption data, prepared as consumed, and data from related foods pooled prior to analysis. TDS-Exposure focused on exposure to food contaminants including heavy metals, mycotoxins and persistent organic pollutants (POPs, e.g. polychlorinated biphenols), which pose a risk to human health and the environment, and estimate chronic exposure to pesticide residues in food as well as food additives intake. However, exposure was based on whole diets, as consumed, rather than contamination of raw commodities, resulting in a more realistic measure of exposure to potentially harmful compounds than currently available. TDS facilitated risk assessment and health monitoring, but some EU Member States and Candidate Countries did not have TDS programmes or they used a variety of methods to collect data, and it was not clear whether data is comparable. It is important to harmonise methods for dietary exposure risks worldwide, and TDS-Exposure aimed to standardise methods for food sampling, analyses, exposure assessment calculations and modelling, priority foods, and selection of chemical contaminants. In the process, a variety of approaches and methods for sampling and analyses were assessed, and best practice defined. 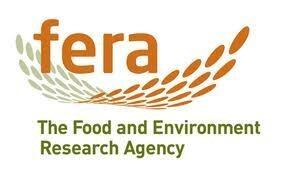 Contaminants and foods that contribute most to total exposure in Europe were also established. In addition, TDS-Exposure provided training for those countries without total diet studies, enabling best practice in the creation and execution of TDS programmes in those regions lacking such population studies, and ensuring the data collected was coherent with others studies globally. Information about these and existing European TDS will be published to promote better handling of dietary exposure data, and establish a legacy of harmonised methods and science-based recommendations for public health worldwide. A TDS paper is currently being preparing that describes the quality management framework developed for TDS centres in Europe, more information will follow on the website when this has been completed. Europe is facing significant challenges in promoting health and reducing the burden of age- and diet-related disease by means of lifestyle, food and nutrition. Research collaboration, innovation, and capacity building are essential to benefit from mainly public research resources, and EU-wide Research Infrastructures (RIs) form an essential part of health programmes. EuroDISH was jointly coordinated by Stichting Dienst Landbouwkundig Onderzoek (DLO) and Wageningen University and included 13 other leading centres. It aimed to provide realistic recommendations on the needs of RIs to European Strategy Forum on Research Infrastructures (ESFRI) and other stakeholders. Partners focused on needs for integration of existing and the development of new food and health RIs, which are important for innovation in mechanistic research and public health nutrition strategies across Europe. Building on existing projects/networks such as NuGO-A, EuroFIR AISBL and IARC-EPIC, the project aimed to systematically map existing RIs and their needs for integration and supporting European governance structures. Two case studies on RIs, identified as highly relevant by the JPI HDHL for 2012-2015, enriched the project by designing and testing of pilot RIs that feed the overall conceptual design and roadmap, which will be aligned with on-going activities. 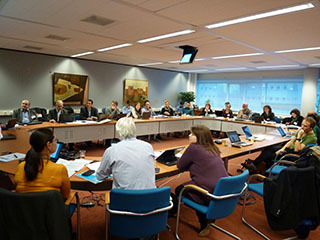 FDNC is involved in several Work Packages and jointly leads the case study for a RI on Pan-EU Nutritional Surveillance with IARC, RIVM and EuroFIR AISBL. Europeans have low compliance to dietary guidelines and recommendations, resulting in poor health and unhealthy ageing. Public health campaigns hardly improve this compliance. A new paradigm emerges of personal dietary advice based on personal preference, health status and assessment, and motivational goals. 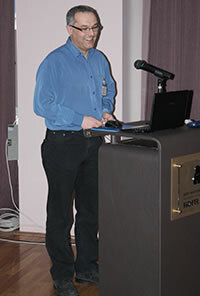 A number of FP6 and PF7 project have developed concepts, tools and infrastructures with a number of SME involved. joined forces. QuaLiFy aimed to create a solid basis for commercial activities in the area of personalised nutrition by providing a data- and information infrastructure and harmonized open innovation protocols. Two main areas of implementation were chosen, both based on the interaction between dieticians and client: obese children and type 2 (pre-)diabetics. Furthermore all applications of QuaLiFY were tested, integrated and optimized for consumer use in a field lab setting, ”the Nutrition Researcher Cohort”. QualiFY will aim to valorize and integrate the results of the FP6 and 7 projects EuroFir, NuGO and Eurreca, Eurogene and Food4Me. BACCHUS aims to develop tools and resources that will facilitate generation of robust and exploitable scientific evidence, which can be used to support or refute links between consumption of bioactive peptides and polyphenols, and beneficial physiological effects with respect to cardiovascular risk in humans. The consortium includes 12 leading research and technology centres and 16 SMEs, which ensures SME involvement in developing future food products with potential health benefits, successful health claims, expertise in health claims legislation and the EFSA review process as well as academic and industry partners, which provide high quality food and health research underpinning the health claims. Existing SME-developed products that have the potential for obtaining favourable opinions for health claims have been selected as test cases. These are aligned with activities addressing key aspects of the EFSA health claim evaluation process, namely legislation and dossiers, product/ bioactive characterisation, habitual intakes, bioavailability, mechanisms and biomarkers, and clinical trials evidence of health benefit, which will deliver tools, processes and high-quality original science. Results and best practice will be made publically available, and thus support future claims by the food industry. The scientific scope of eBasis, which includes compositional and biological effects data, will be extended and its impact as a sustainable an industry-relevant tool enhanced with various training materials. Outcomes will be disseminated broadly by direct engagement with SMEs via an existing European SME association, and with stakeholders via seminars, newsletters and media engagement as well as traditional scientific routes. FDNC has been awarded a contract by Public Health England to deliver a nutrient composition survey of commonly consumed fruit and vegetables, with a focus on fibre measured by the Association of Official Analytical Chemists (AOAC) method. The draft Carbohydrates and Health report from the Scientific Advisory Committee on Nutrition (SACN) recommended that dietary fibre should be defined based on this method and there is a need to improve the quality of estimates of fibre intakes based on the AOAC method. This survey will provide AOAC fibre values for a range of fruit and vegetables which have not yet been analysed by this method and will also update and extend information on other nutrients which were last analysed in the 1980’s; This project will complement the nutrient analysis of fruit and vegetables analytical report, 2012 where 59 composite samples were analysed. The project runs between July 2015 and March 2016 and will provide new data for approximately 50 fruit and vegetables, both raw and cooked. The new data generated by this survey will be used to update Public Health England’s NDNS nutrient databank and will be included in updates of the Composition of Foods Integrated Dataset. Analytical services for the project will be provided by our laboratory partners, Eurofins Food Testing and LGC Ltd. Evaluation and benchmarking of public health and policy interventions aimed at improving dietary behaviour, physical activity and sedentary behaviour across the life course. In addition, the project will develop a ‘tool-box’ of best practice methodologies to aid standardisation and comparability across European countries, and the ‘tools’ developed will be pilot tested and optimised. The DEDIPAC Knowledge Hub is funded under the Joint Programming Initiative (JPI) ‘A Healthy Diet for a Healthy Life’ research agenda www.healthydietforhealthylife.eu Joint Programming funding aims to tackle some of the biggest health and societal challenges through pan-European collaborative research. The process aims to make more efficient use of research resources and to encourage European Member States to work in partnership to achieve common visions. The Institute of Food Research is a Deputy Hub Co-ordinator in the project and leads the dissemination activities and the interaction with stakeholders within the project. IFR is also involved in a work-package within thematic area 1, which aims to develop harmonised pan-European standards and methodologies for monitoring dietary and activity behaviours and their determinants.